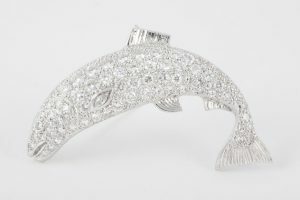 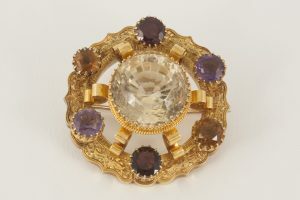 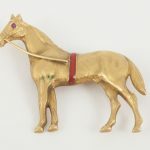 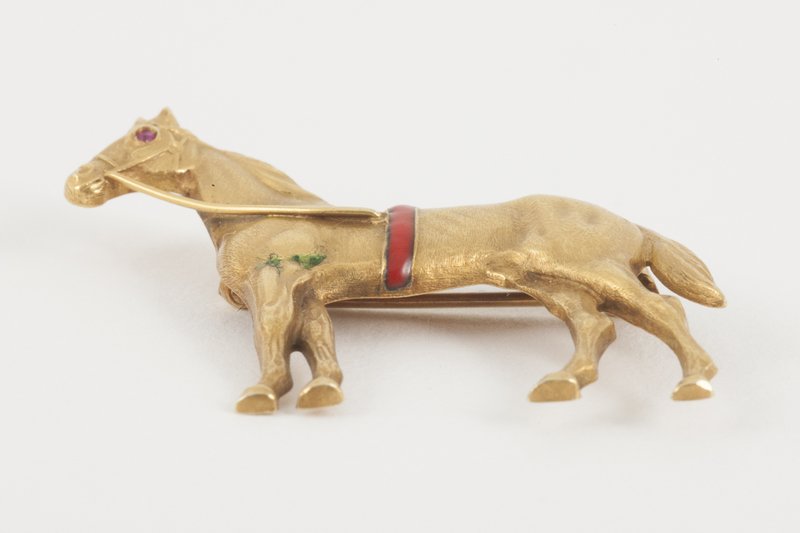 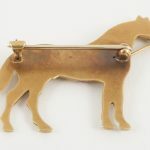 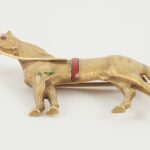 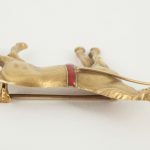 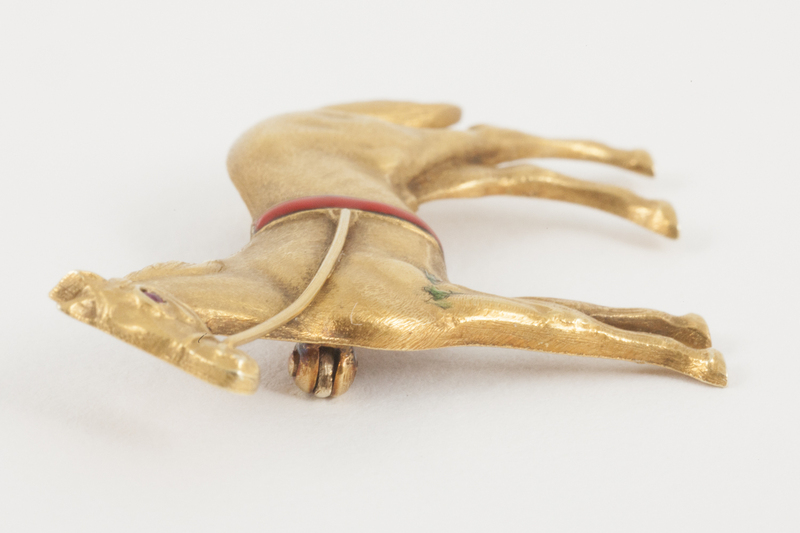 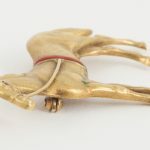 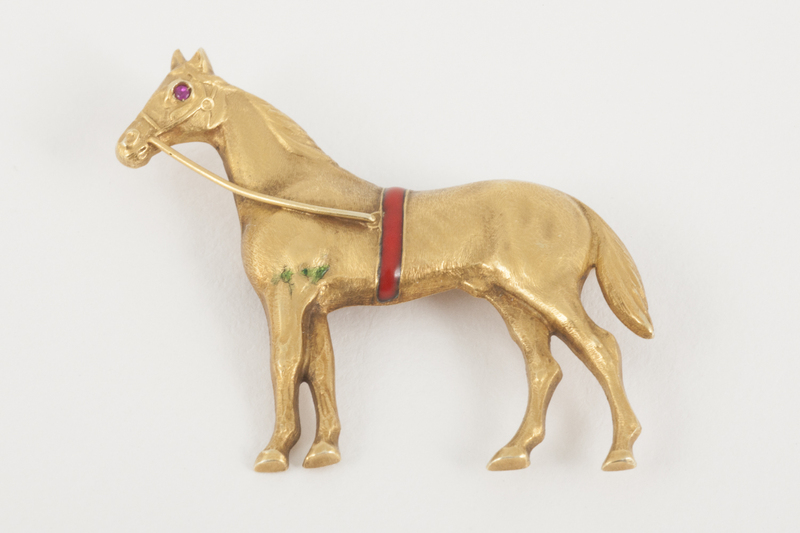 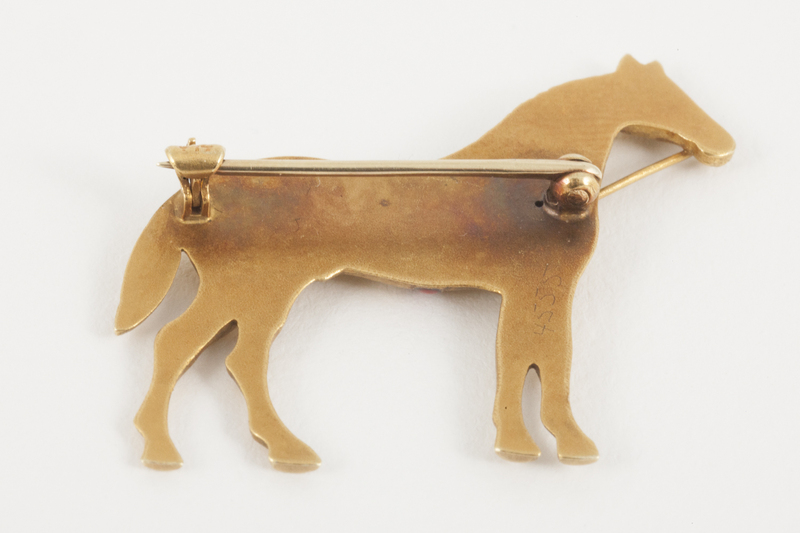 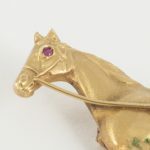 An antique equestrian brooch of a standing racehorse. 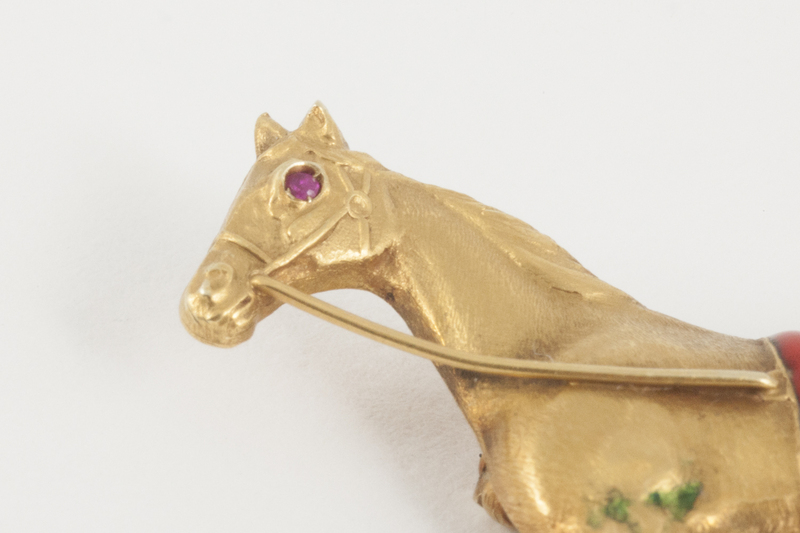 In 14 karat yellow gold set with a ruby eye and a coral red enamel band around its girth. 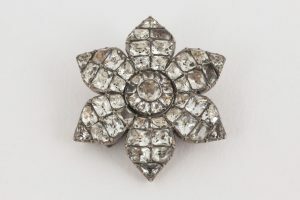 Single pin fastening. 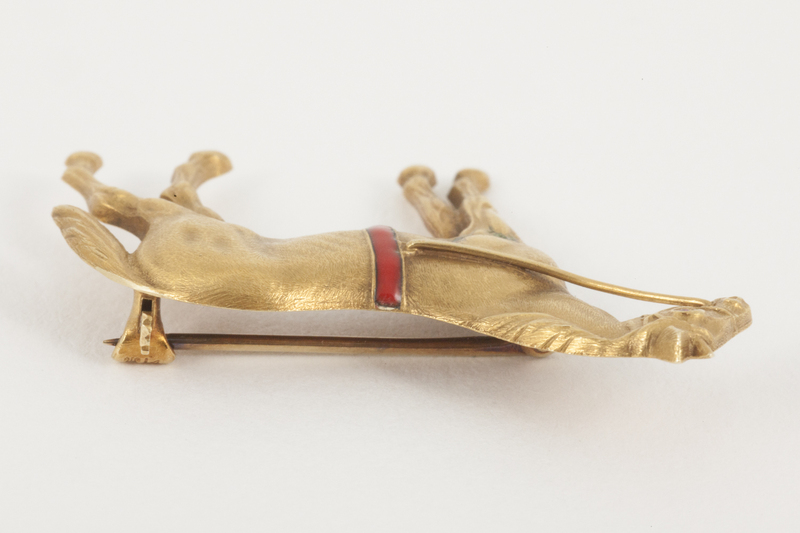 Measures 32mm in height x 35mm in length. 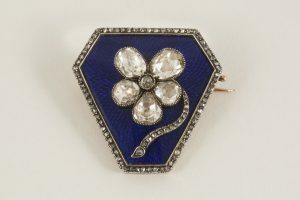 Early 20th century, American circa 1900.